Any witness to the ongoing transformation of New York’s hip Meatpacking District is accustomed to surprises. But few expected a giant bust of Stalin when it appeared around Christmas. 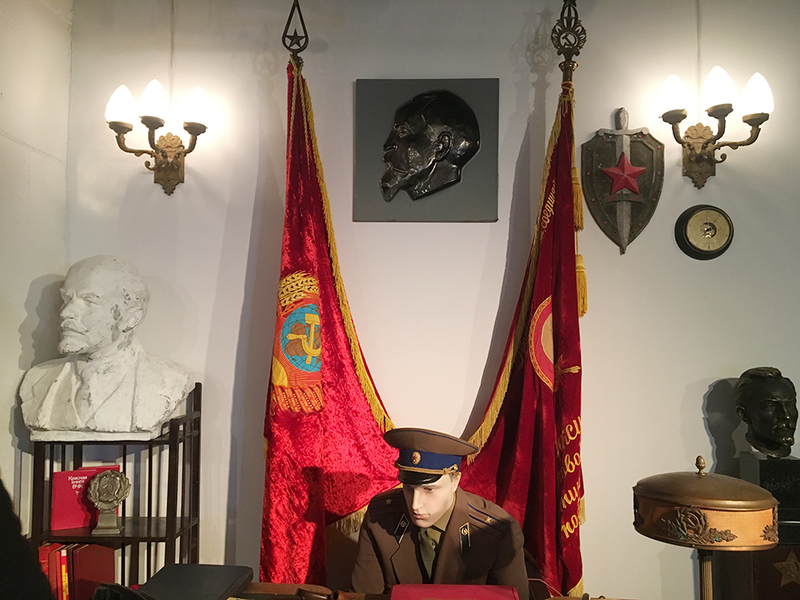 The bust belongs to the KGB Espionage Museum, which opened on 14th Street earlier this year. 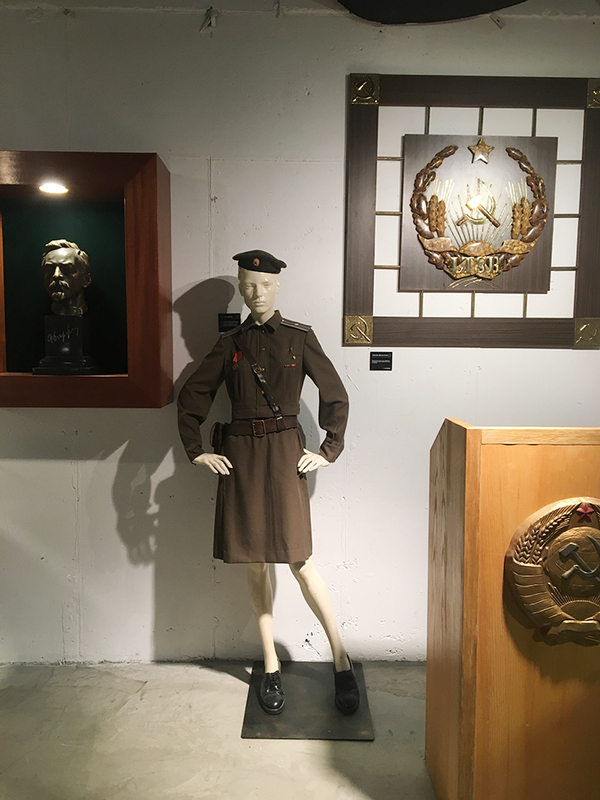 Boasting over 3,500 objects, the for-profit gallery presents the gadgets, weapons and methods used by the Soviet secret police during the Cold War. The $25 admission fee includes a 90-minute guided tour. As part of the experience, Urbaitis encourages visitors to don greatcoats and be photographed as KGB agents; or sit in a torture chair for questioning. There are games to assess whether you would be a “good KGB agent,” as guide Daniil explained to Eurasianet during a recent visit. Mannequins alternatively wear KGB uniforms or, sitting in replica prison cells, uniforms. Tiny TV's mounted on mock jail doors reveal actors in solitary confinement pretending they’re about to be executed. Panels narrate key moments in Soviet history, though one short biography of Vladimir Lenin describes him merely as “one of the most mysterious personalities of the 20th century” – an apparent attempt at balance that results in empty gibberish. Urbaitis, who collected many of the items himself, argues that his museum serves an educational function. Urbaitis, 55, claims that many of his artifacts could not freely be exhibited in Russia, insisting he could go to prison for such a museum there. Though that is most likely an exaggeration, it’s true that the Kremlin is not interested in freely discussing the KGB’s crimes. Last month Kommersant reported on how Gulag historian Sergei Prudovsky was barred from accessing secret police archives, where he had hoped to find information on a series of executions during Stalin’s Great Terror. The museum is not the first offbeat venue capitalizing on Cold War kitsch in New York. Across lower Manhattan is the KGB Bar, a Soviet-themed literary venue and dive, complete with hammer-and-sickle paraphernalia and a “communist chic” aesthetic. But, perhaps most intriguingly, how can Urbaitis afford this space? The Meatpacking District boasts retail rents of almost $500 a square foot. And the gallery was not bustling on a recent weekday visit. Natasha Frid is a journalist based in New York.